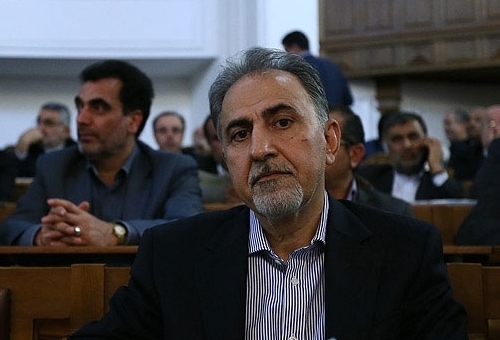 TEHRAN (FNA)- Mohammad Ali Najafi, who failed to win the parliament’s vote of confidence for the education ministry’s top post in President Rouhani’s government, was appointed as vice-president and head of the Cultural Heritage, Tourism and Handicrafts Organization (CHTHO). Najafi served as education minister under former President Akbar Hashemi Rafsanjani and former Prime Minister Mirhossein Mousavi from 1988 to 1997. Born in 1952, Najafi has completed his postgraduate studies in mathematics at the Massachusetts Institute of Technology (MIT). The Iranian parliament Thursday evening gave votes of confidence to 15 of the President’s proposed ministers, but rejected 3 others. After four days of hard work, the Iranian legislature approved President Hassan Rouhani’s nominees for the posts of Intelligence, Interior, Foreign Affairs, Oil, Energy, Roads and Urbanization, Agricultural Jihad, Defense, Telecommunications and Information Technology, Economy and Financial Affairs, Health, Cooperative and Labor, Justice, Industry and Mining and Trade, and Culture and Islamic Guidance Ministries with almost unprecedentedly high votes of confidence. Yet, the MPs refrained from approving the president’s choice for the posts of Education, Science and Research and Technology, and Sports and Youths Ministries. The debates at the parliament ended Thursday evening after the votings.